Any divorce finalized after December 31 will not be able to take advantage of the tax deduction, which was eliminated in the Tax Cuts and Jobs Act. The deduction disappearing has a number of couples rushing to get things finalized before 2019 arrives, as payers (in the higher income tax bracket) will no longer be able to deduct the payments on their annual returns, while recipients will no longer be paying taxes on alimony as income. In fact, payers will now owe the Internal Revenue Service taxes on the amount paid, while recipients will owe nothing. According to reports, last year alone, close to 600,000 taxpayers claimed deductions for close to $13 billion in alimony paid the previous year. The elimination of the deduction was reportedly intended to offset budget deficits created by lowering the corporate tax rate from 35 to 21 percent. And unfortunately, however, couples’ needing to come to an agreement isn’t the only hurdle: There must also be enough judges—and time—to sign off on divorce agreements before the end of 2018 in order for couples to take advantage of the alimony deduction. 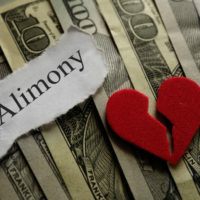 There may still be some hope: the states typically determine alimony guidelines, and may be able to soften the blow” somewhat for payers to take over for some of the increased tax burden. In addition, ex-spouses will still be able to claim their ex’s Social Security benefits upon retirement if they were married for at least 10 years and he or she did not get remarried. Note that the new tax rules will not apply to modifications of agreements that were entered into prior to 2019 unless that is specifically written into the decree. Experts agree that there is good reason to rush the divorce and to make it in by 2018 because there are significant savings to be had. The Florida divorce attorneys at HD Law Partners are dedicated to helping our clients get through their divorce as efficiently as possible and on the right financial track. Contact us today to find out more.